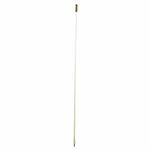 Heavy duty 3 foot 650 watt top loaded 5/8 wave CB antenna stick with tuneable tip and 3/8"x24" threaded base. 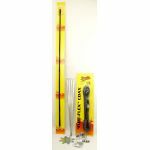 Heavy duty Original Series trim-to-tune 5 foot 500 watt top loaded 5/8 wave fiberglass CB antenna with 3/8"x24" threaded base. 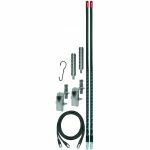 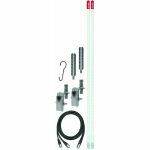 Heavy duty Original Series trim-to-tune 7 foot 700 watt top loaded 5/8 wave fiberglass CB antenna with 3/8"x24" threaded base. 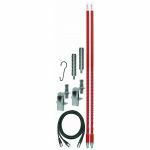 Heavy duty Original Series trim-to-tune 3 foot 300 watt top loaded 5/8 wave fiberglass CB antenna with 3/8"x24" threaded base.